Broadway Across Canada presents Mamma Mia! NOTE: The ticketmaster link will not be active until 10AM on Friday, January 22, 2016. WALKS DOWN THE AISLE OF THE QUEEN ELIZABETH THEATRE FOR ONE WEEK ONLY! Vancouver, B.C. 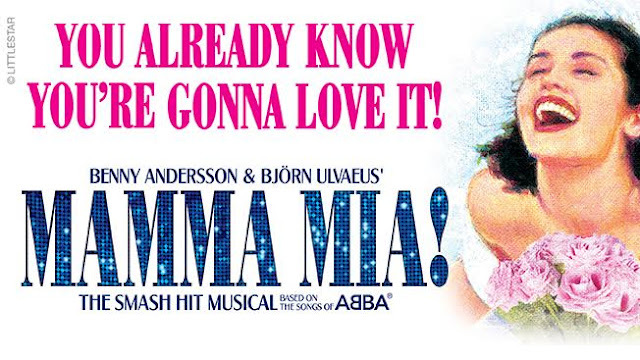 - Benny Andersson and Björn Ulvaeus’ MAMMA MIA!, the smash hit musical based on the songs of ABBA, returns to the Queen Elizabeth Theatre March 29 – April 3, 2016. Performances begin on Tuesday, March 29 and run through Sunday, April 3. MAMMA MIA! is one of the most successful musicals of all time, the eighth longest running show in Broadway history and one of only five current musicals to have run for more than ten years on Broadway. The West End production is now in its seventeenth year. The international tour has visited more than 81 foreign cities in 37 countries. The performance schedule for MAMMA MIA! at the Queen Elizabeth Theatre is Tuesday through Saturday evenings at 8pm, Sunday evening 7:30pm and Saturday and Sunday matinees at 2pm..
Tickets for MAMMA MIA! start at $35 (plus applicable service charges).Tickets are available through ticketmaster.ca or by calling 1-855-985-5000. Reservations for groups of ten (10) or more are now being accepted by calling 1-800-889-8457. MAMMA MIA! is produced by Work Light Productions, whose other touring productions include Rent 20th Anniversary Tour, Irving Berlin’s White Christmas, Vocalosity, and Crazy For You. The original production of MAMMA MIA! was produced by Judy Craymer, Richard East and Björn Ulvaeus for Littlestar in association with Universal, the creative team responsible for bringing MAMMA MIA! to theatrical life includes some of the most gifted and celebrated talents of musical theatre and opera. With music and lyrics by Benny Andersson and Björn Ulvaeus, MAMMA MIA! is written by Catherine Johnson and directed by Phyllida Lloyd. MAMMA MIA! has choreography by Anthony Van Laast, production design by Mark Thompson, lighting design by Howard Harrison, sound design by Andrew Bruce and Bobby Aitken, and musical supervision, additional material and arrangements by Martin Koch. The special edition cast recording of MAMMA MIA! is available on Decca Broadway. BROADWAY ACROSS CANADA and Broadway Across America is part of the Key Brand Entertainment family of companies which includes Broadway.com and is operated by John Gore (Owner & CEO). BAA is the foremost presenter of first- class touring musicals and plays in North America, operating in 40 markets. As a leading Broadway producer, BAA is dedicated to the development and production of new and diverse theatre. Current/upcoming productions include Beautiful, Betrayal, Bullets Over Broadway, Little Miss Sunshine, Million Dollar Quartet and Pippin. Past productions include Hairspray, How to Succeed in Business Without Really Trying, Memphis, Promises, Promises, The Producers and War Horse. Broadway.com is the premier theater website for news, exclusive content and ticket sales. For more information please visit BroadwayAcrossCanada.ca and Broadway.com.